This April 26, 2017, file photo shows the Twitter icon on a mobile phone in Philadelphia. Twitter suspended a network of suspected Twitter bots on Thursday that pushed pro-Saudi Arabia talking points about the disappearance of journalist Jamal Khashoggi in the past week. 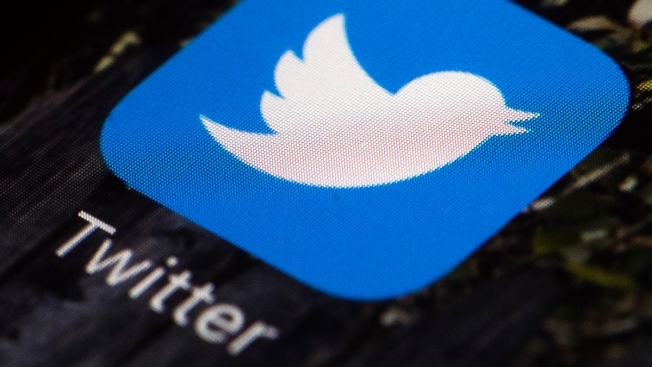 Twitter became aware of some of the bots on Thursday when NBC News presented the company with a spreadsheet of hundreds of accounts that tweeted and retweeted the same pro-Saudi government tweets at the same time. The list was compiled by Josh Russell, an Indiana-based information technology professional who has previously identified foreign influence campaigns on Twitter and Reddit. A Twitter employee, who asked not to be identified because the employee was not authorized to speak publicly, said the company was aware of the influence operation and had already suspended even more pro-Saudi government accounts before they were caught by researchers. The employee said the accounts are being pulled down for violating rules about spam, and referred to it as a routine spam operation takedown.